8-nozzle bottle blower using filtered compressed air, or nitrogen (filter, pressure reducer and pressure gauge, supplied). 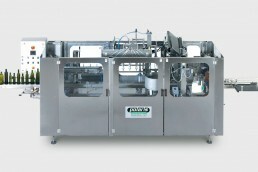 Alternatively: 8-nozzle rinser that can use running water or a recycled alcohol-based product. Batch feeders for bottled flavourings, by volume (liquid flavourings), by weight or number (solid flavourings such as bilberries or other berries). 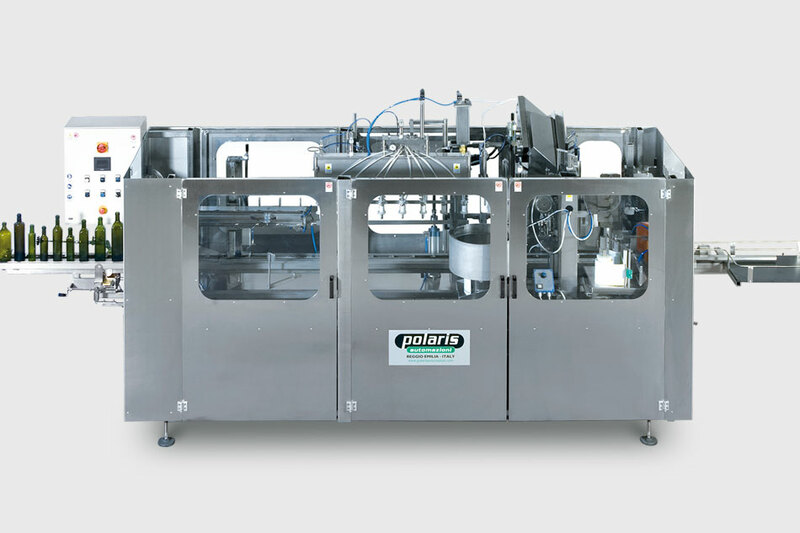 Visual control for checking the integrity of the filled and capped bottles. Head for applying duty stamps, paper/glue or self-adhesive type, “L” shaped, “U” shaped, or square stamp, with the possibility to replace the different loaders. Upper hood with motor-operated exhauster for intake of alcohol vapour from the filling room • Rotating outlet disk, 800 mm diameter, for collection of the final product.